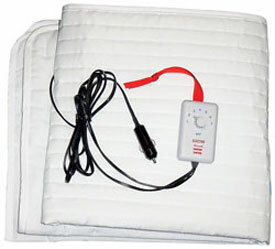 Heated Mattress Pads to fit boat beds! Enjoy a great night's sleep anywhere. No more engine noise or vibration. It adjusts the heat in the bunk for any change in cabin temperature. As the cabin cools, it supplies just the right amount of extra heat to keep you comfortable.